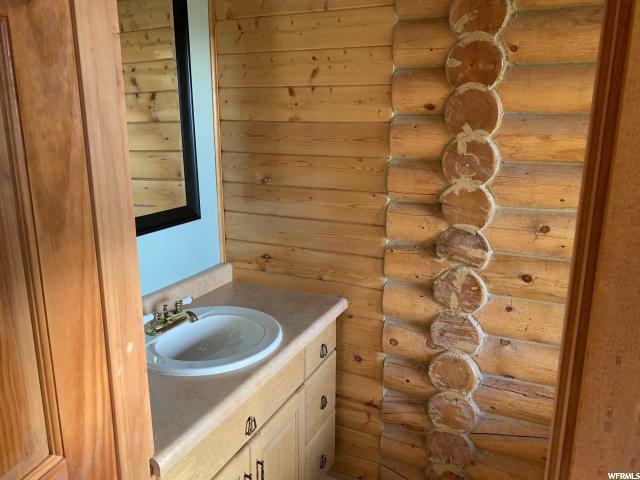 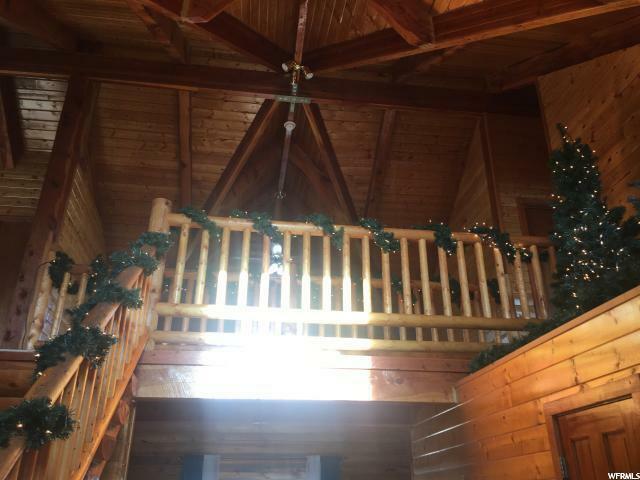 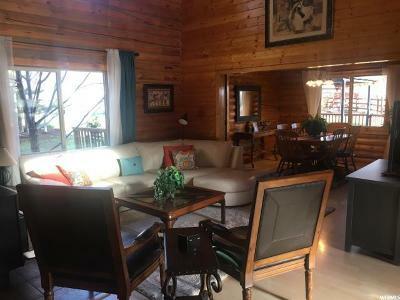 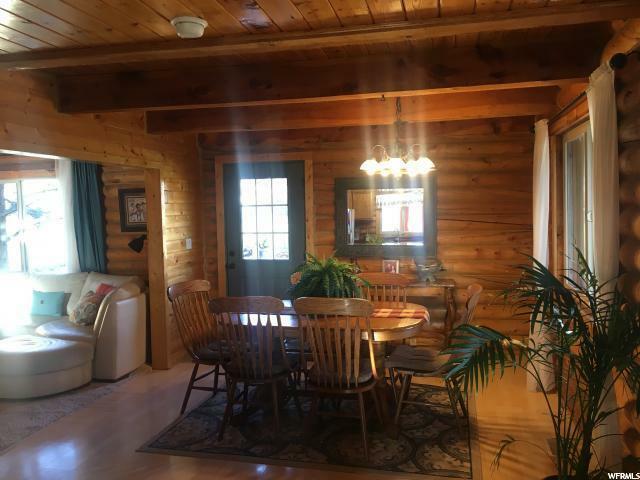 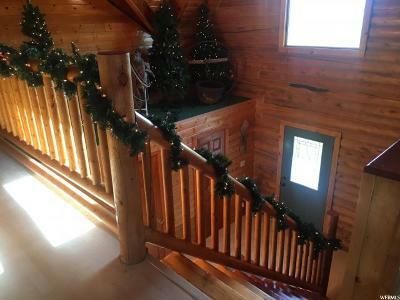 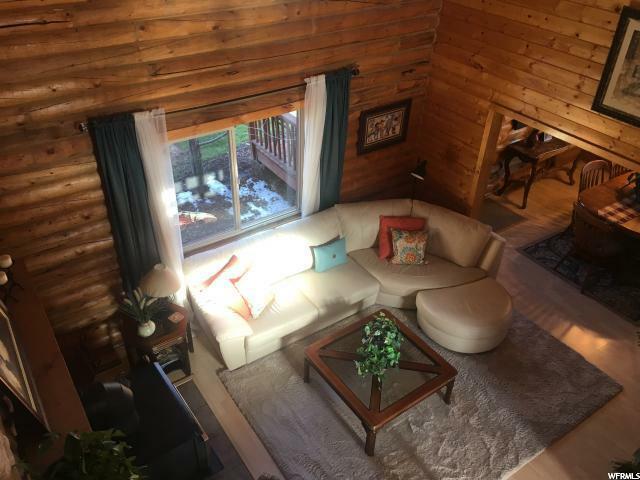 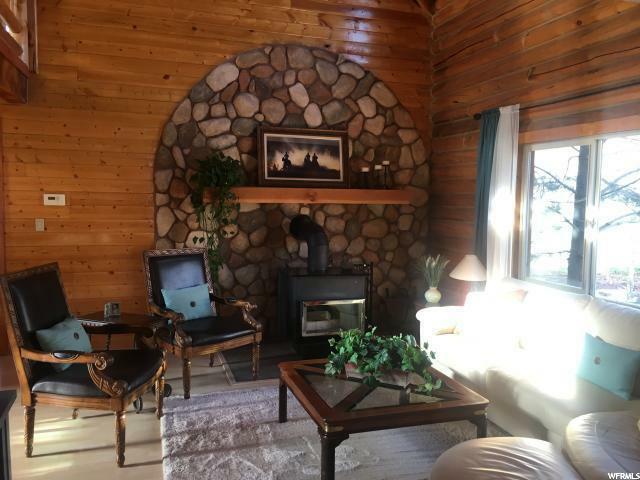 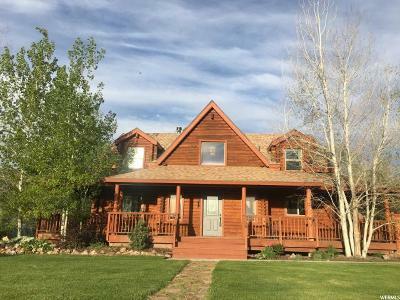 This perfectly placed two-story log home has incredible mountain views and a peaceful ambiance. 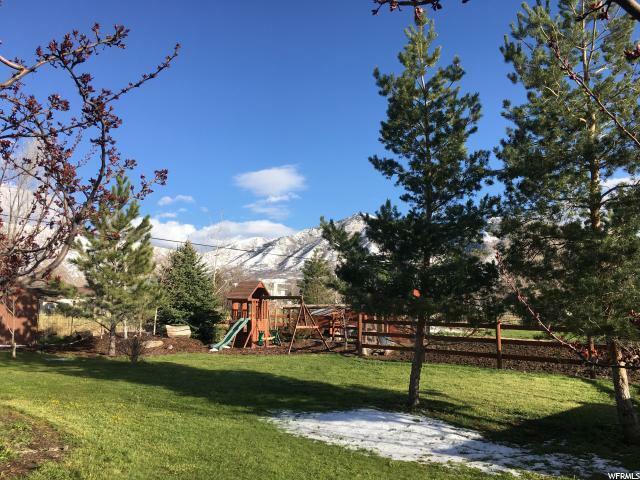 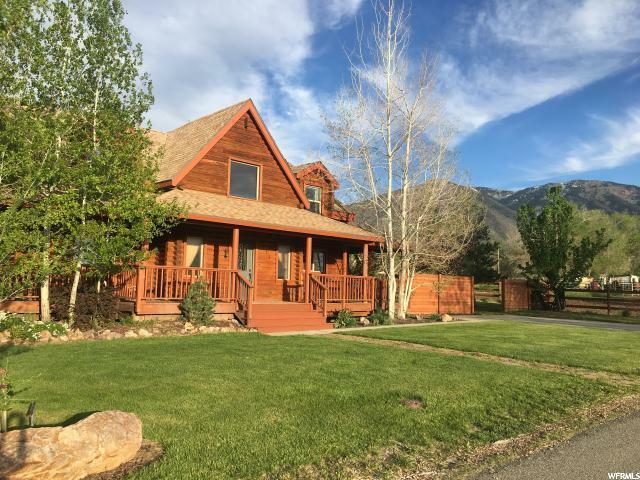 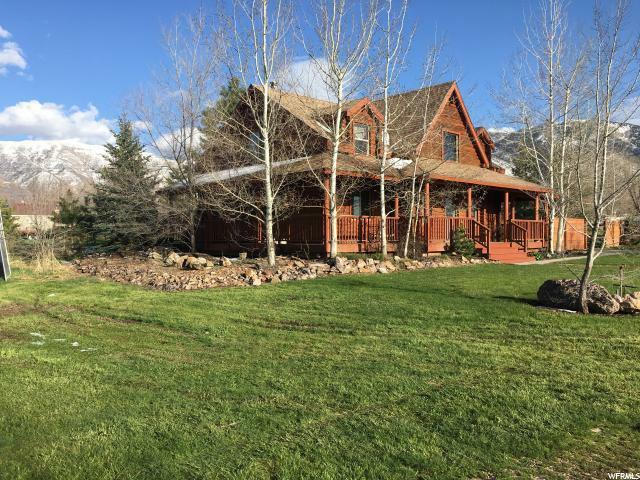 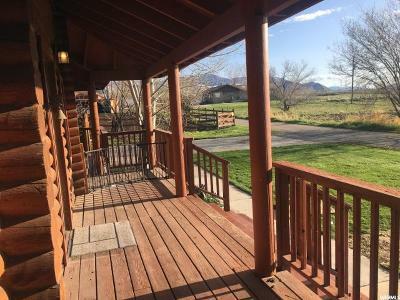 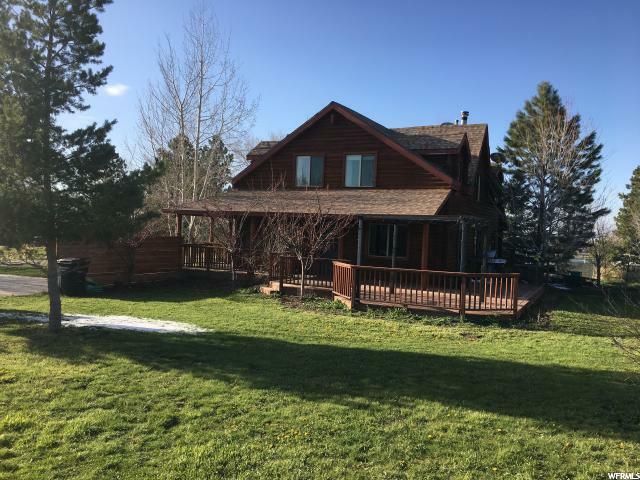 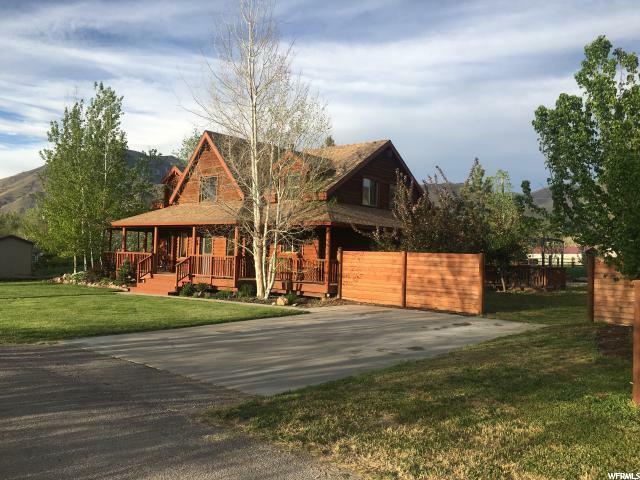 It sits on a beautifully landscaped yard that gives you the feeling of your own private mountain retreat! 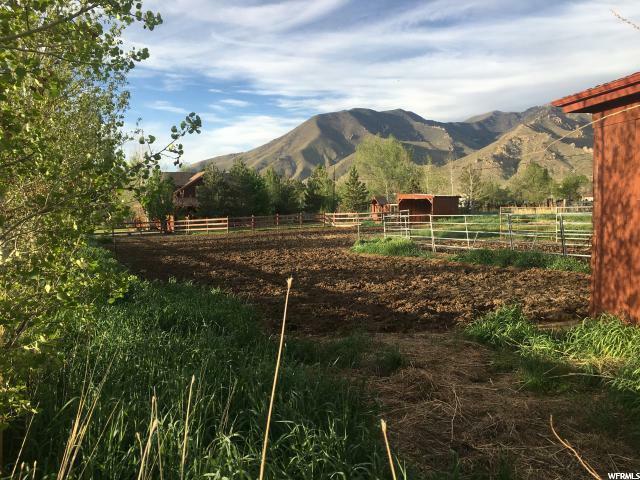 Within a 10 minute ride you have access to literally thousands of acres of BLM land in the Oquirrh Mountains. 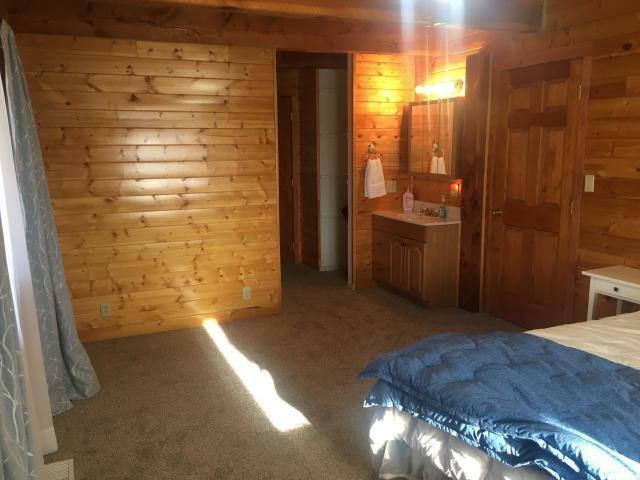 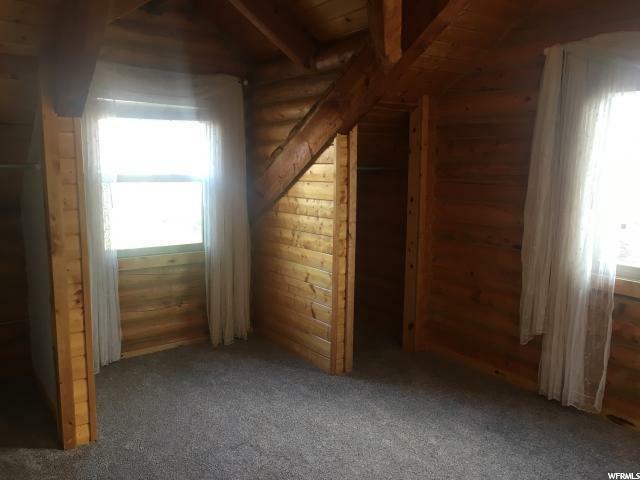 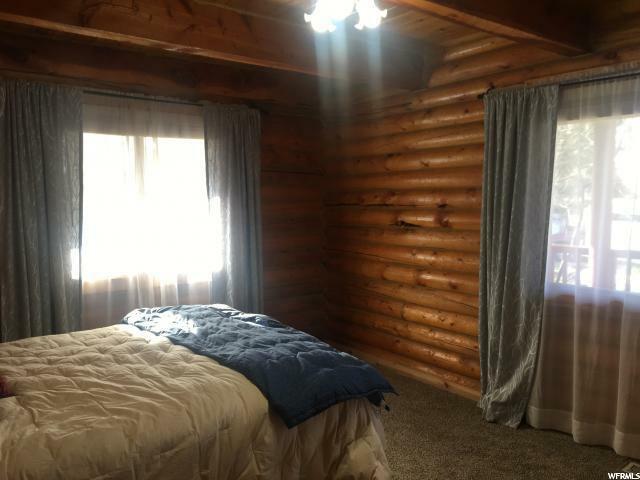 3 bedrooms with the Master suite on the main floor. 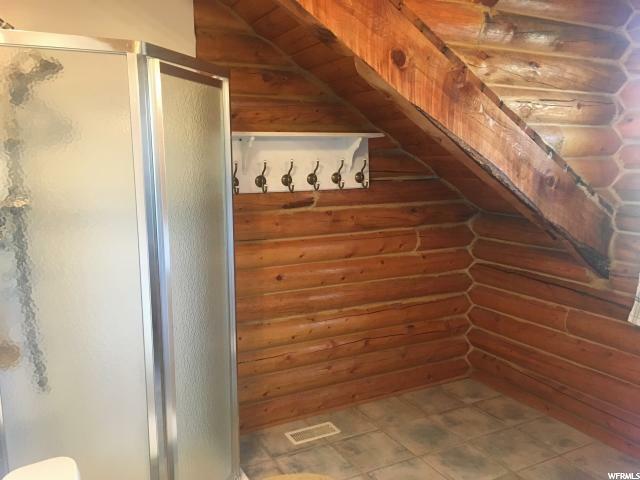 Full 1100 sq ft of unfinished basement to make it exactly how you want and rough plumbed for a future bathroom. 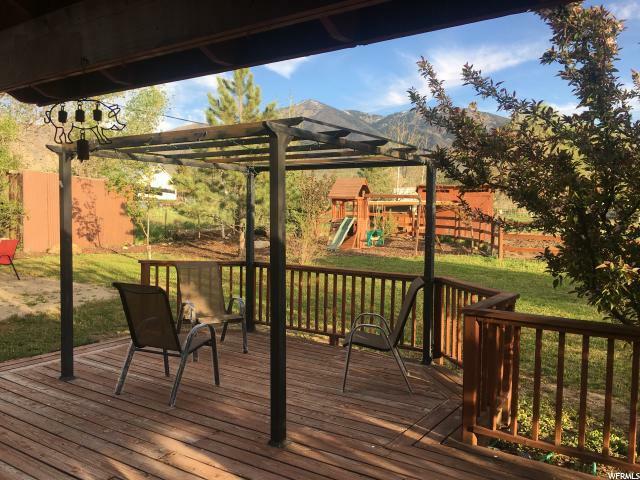 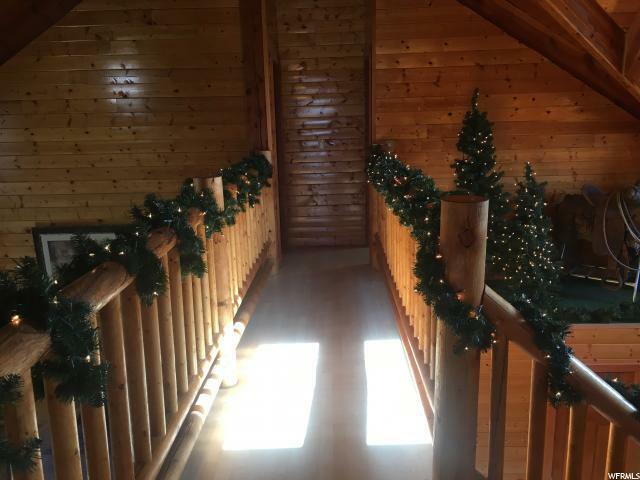 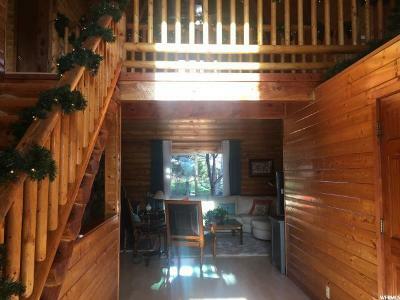 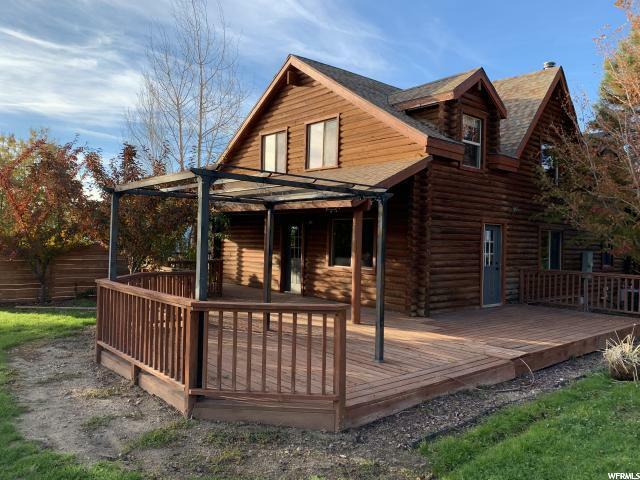 Cathedral ceiling with catwalk; wrap around porch with railing (634 sq ft open deck; 840 sq ft covered deck); pergola with removable summer cover included. 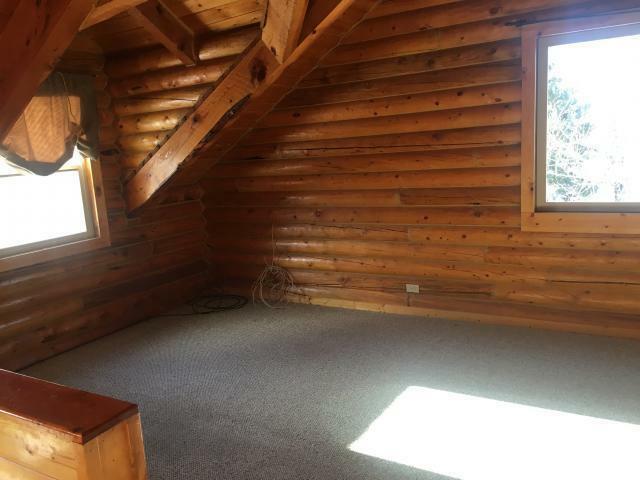 New over-stove microwave; new carpet in all bedrooms. 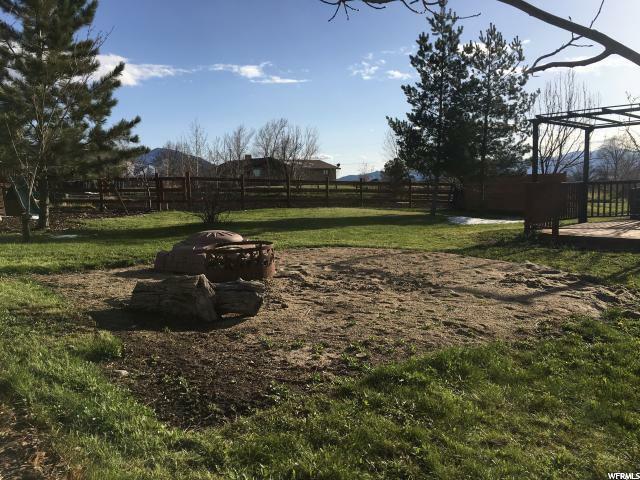 Amazing yard for entertain, fire up your BBQ and when the stars come out roast marshmallow around a fire pit. Take in the breathtaking views from the deck while you savor this ideal location. 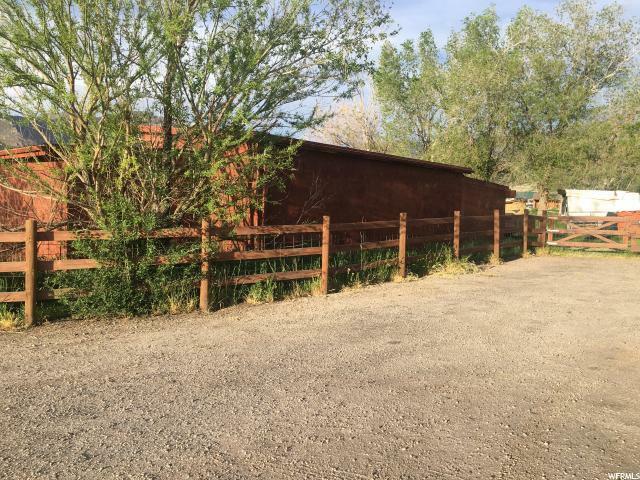 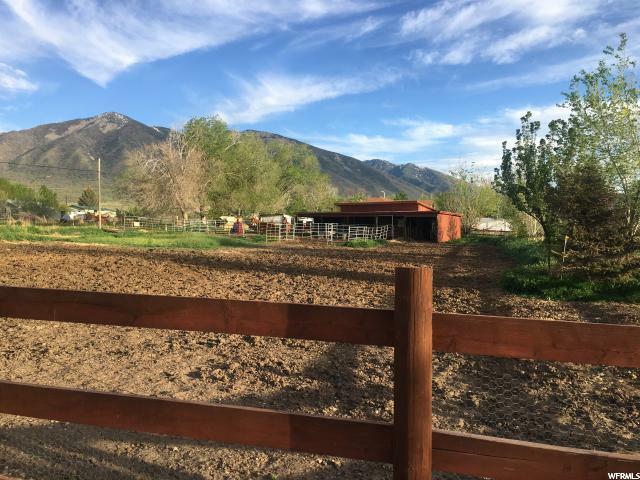 On the south end of property there is a 2-4 stall shed-row barn with tack room and 9 foot overhang; 12x12 foot lean-to convertible to stall; fenced for large animals; 9x12 storage shed on the north side of property and a chicken coop; semi-private lane. 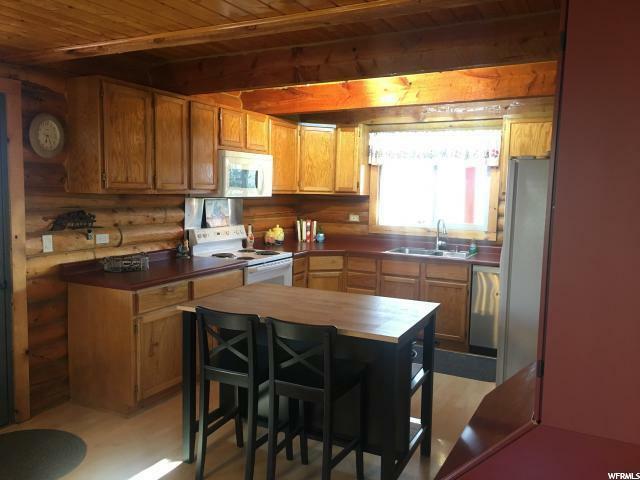 New smoke detectors, kitchen island included, fridge included, 6 year old water heater, original furnace/AC with regular maintenance done. 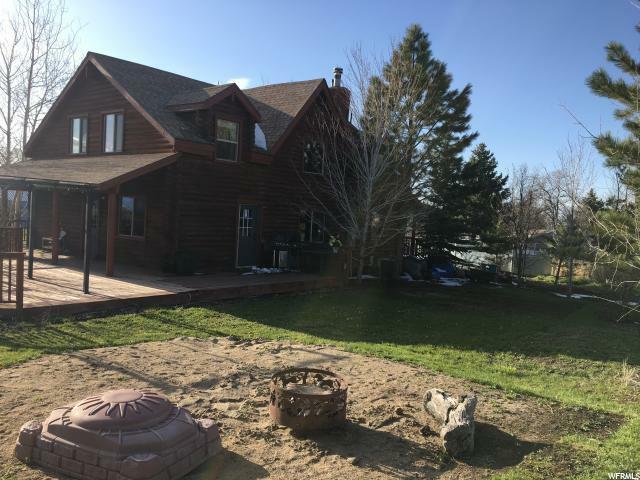 Lincoln Culinary Water share included allows 18, 000 gallons of culinary water usage average $70 month with July and August $150/mo. 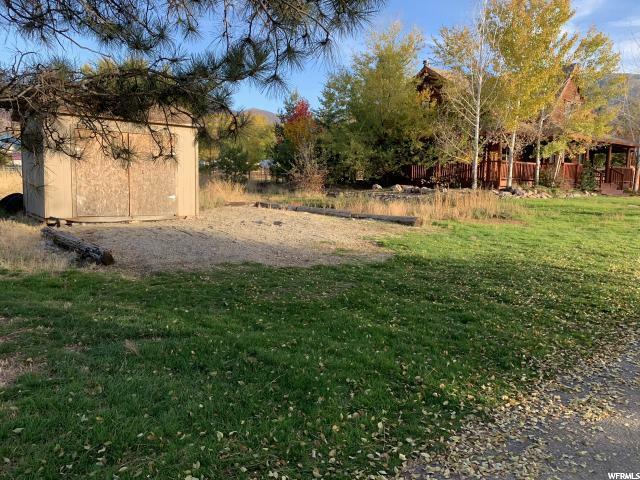 Tooele County $45/quarterly for trash service. 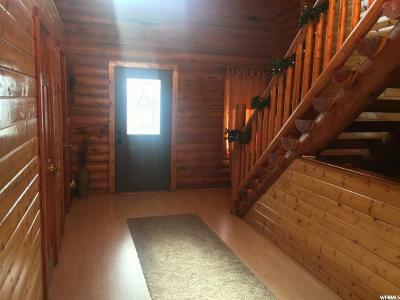 Average power $128/mo Average gas $60/mo Semi private lane owned by 5 residents Square footage figures are provided as a courtesy estimate only . 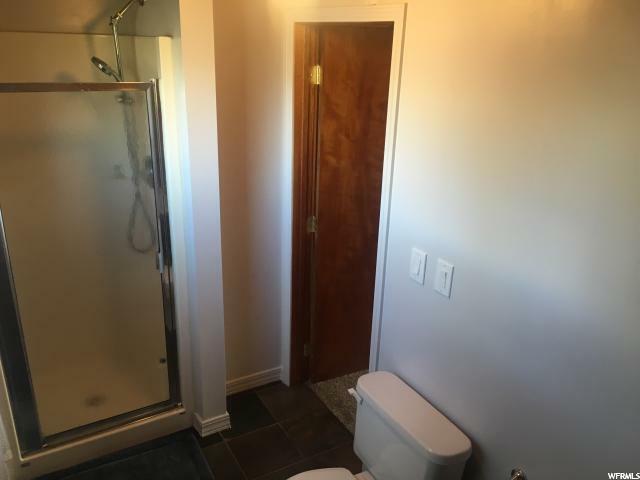 Buyer is advised to verify all information independently. 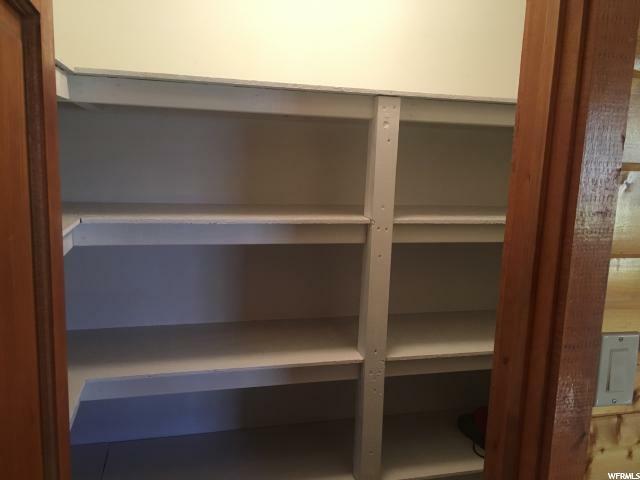 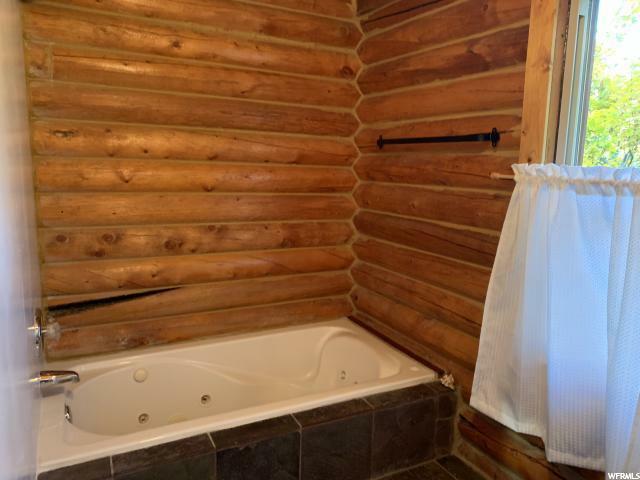 Interior Features: Bath: Master, Bath: Sep. Tub/Shower, Dishwasher: Built-In, Disposal, Range/Oven: Free Stdng.